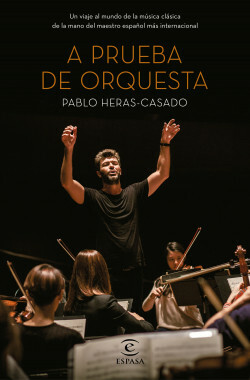 The conductor Pablo Heras-Casado addresses the rarely understood but essential world of classical music. And he does so naturally, without restraints or prejudices, because you don’t need to have musical knowledge to understand it; music is what it transmits to us, what it makes us feel. The author intersperses snapshots of his life since childhood and how he discovered music, with his most important concerts all over the world and the orchestras he has conducted, which include some of the world’s best (the Chicago and San Francisco Symphony Orchestras, the Los Angeles Philharmonic, the New York Philharmonic, the Boston Symphony Orchestra, Staatskapelle Berlin, Münchner Philharmoniker, Symphonieorchester des Bayerischen Rundfunks, the London Symphony Orchestra, the Metropolitan Opera, etc.). A trip to the world of classical music by the most international Spanish master.